COLUMBIA, S.C. -- A South Carolina inmate broke out of a maximum-security prison using wire cutters that were apparently flown in by drone, officials said Friday, describing a new and devilishly hard-to-stop means of escape. Convicted kidnapper Jimmy Causey, 46, was recaptured at a Texas motel before daybreak, more than two days after bolting to freedom in a plot worthy of a Hollywood script. It was the second time in 12 years that he escaped. This time, he used a smuggled-in cellphone to coordinate the delivery of the breakout tools, investigators said. Then, with dusk approaching on the Fourth of July, he cut through four fences and left a paper maché dummy in his bed that fooled his guards. He got an 18-hour head start. When he was caught, he had about $47,000 in cash and two guns, authorities said. "We believe a drone was used to fly in the tools that allowed him to escape," South Carolina Corrections Director Bryan Stirling said. He said investigators were still trying to confirm that, and he didn't elaborate on why they believe a drone was involved. But an official aerial photo of the prison shows rings of tall fences and an expanse of more than 50 yards between the prison perimeter and the cellblocks, making it unlikely someone could have thrown or catapulted tools to him. "If someone leaves the South Carolina Department of Corrections and tries to escape, we will hunt them down and look for them until we find them," Stirling said. "They will not be able to sleep or close their eyes and feel comfortable that they've gotten away because we will not stop like you saw this week." Kevin Tamez, a 30-year law enforcement veteran who consults on prison security as managing partner of the New Jersey-based MPM Group, said he wasn't aware of any other U.S. prison escapes aided by drones. Tamez said that delivering something heavy such as wire or bolt cutters via drone would require a sophisticated plan and a powerful machine. "They have to land for you to get the contraband off of them," he said. "They can't drop it like a bomb." Tamez said there is no easy way for prisons to protect against the use of small, unmanned aircraft, other than hiring more guards to watch the fences. Stirling said the state is spending millions to install netting at prisons to prevent people from throwing things over, but confessed that won't stop drones. "Now they're going to fly over the nets," he said. "So what do we do next?" Stirling said he and other state officials have asked the federal government for help with blocking inmates' access to cellcphone signals. "This could have been a catastrophic result because of cellphones and drones, and it's a simple fix," Stirling told CBS affiliate WLTX. "Allow us to block the signal. Allow us to not allow these people have unfettered access to the outside world...They are physically incarcerated, but they are no longer virtually incarcerated." A tip led Texas Rangers to a motel room in Austin where Causey was found sleeping around 4 a.m. Friday, authorities said. Texas officials released a photo of a handgun, shotgun, four cellphones and stacks of cash found with Causey about 1,200 miles from the Lieber Correctional Institution prison near Charleston. He also reportedly had some type of South Carolina ID. Causey offered no resistance when he was re-arrested, reports WLTX. "This was just good old-fashioned law enforcement," State Law Enforcement Division Chief Mark Keel said. "We worked night and day." Prison officials are investigating how his 8 p.m. disappearance Tuesday went unnoticed until 2 p.m. the next day. Keel said he believed a number of people assisted Causey. "Everyone who assisted him - we intend on bringing to justice as well," Keel said. Causey was sentenced to life behind bars 13 years ago for holding a lawyer at gunpoint. Authorities said he believed the defense attorney did not do enough to keep him out of prison in the 1990s. 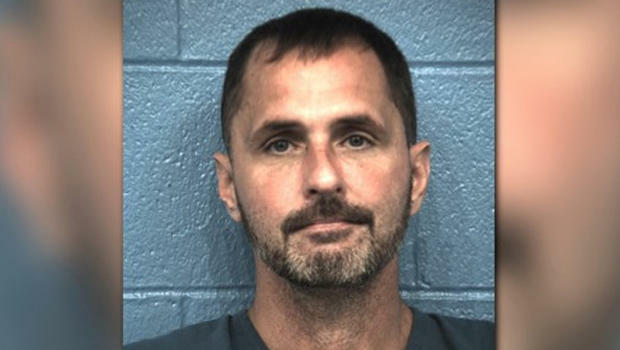 In his first escape, from a different South Carolina prison in 2005, he and another inmate hid in a garbage truck that was leaving the maximum-security institution. They were arrested three days later after a woman delivering pizza to a motel called police. Drones have been used to deliver contraband such as drugs and cellphones to prisons across the U.S., including two cases in recent years from South Carolina. In May, two men were arrested for trying to fly knives, marijuana and phones into a medium-security state prison. Another man is serving a 15-year sentence after officials found a crashed drone outside a maximum-security institution in 2014. Authorities in Britain said two inmates there escaped from prison last year by cutting through window bars using a saw and wire cutters that were believed to have been flown in via drone. Advanced technology and highly motivated prisoners can be a dangerous combination. "You have nothing to do but sit on the edge of your bunk and figure out ways to get past the system," Tamez said. "You can't get complacent with them. These guys aren't stupid."